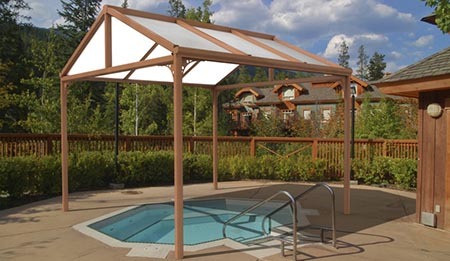 Simplicity canopies are, as their name suggests, are simple and strong. They can span up to a maximum of 5.2m from the house and are available in multi-wall polycarbonate as well as crystal clear solid polycarbonate and glass. These are by far the most economical range and offer great looks and large spans. The increase the value of your property and provide you with valuable outdoor living, working, storage and sheltered space. Choice of Designs – The Carports come in various designs. Our Free standing Canopies are versatile and can be used for carports and many more uses. Free standing carports offer flexibility as they do not need to be fixed to a supporting wall, however because they have more posts they can be expensive and so they are not the most cost effective option.